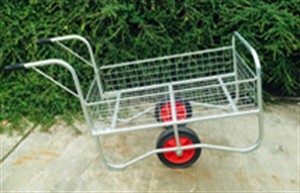 With pneumatic 3.00×4 wheels with roller bearings. 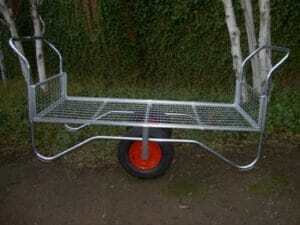 Size: 600mm wide x 1000 mm long. 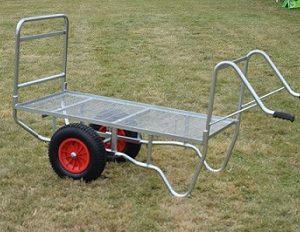 This staff barrow has all of the great features of the Evesham 1 tier but with extra shelving to double its capacity. 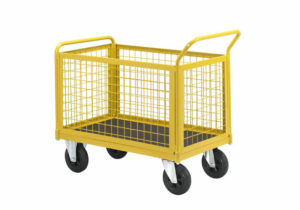 Introduced in 2014, the Apex E balancing trolley provides large carrying capacity in an easy to use, lightweight trolley – great for customers and staff alike. 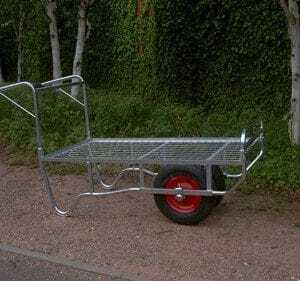 The number one team picking harvesting barrow with innovative design allows for a level load in transit, and it offers great all-year-round flexibility for fruit pickers. 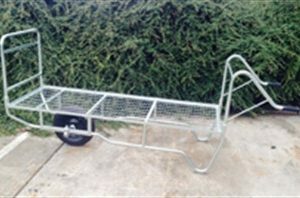 This staff barrow has excellent manoeuvrability and makes the Zipper Barrow the professionals choice. Subscribe to get our newsletter.